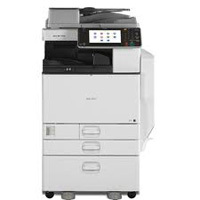 The new Ricoh Aficio MPC3502AD - the replacement for the extremely popular Ricoh Aficio MPC3501 photocopier - takes the very best out of the old model and adds a new refreshed look. Built on tried and tested Ricoh hardware and software technology, the MPC3502AD will perform to your expectations in any document workflow. Please do not hesitate to call us on 0800 1244 199 or on 0800 1244 199 if you are based in either Scotland or Northern Ireland for more information on this exciting new product from Ricoh.